Razer says it's going to hurt, but it will honor orders made with an unauthorized coupon code that discounted purchases by 90 percent. Earlier this week it came to light that Razer's U.K.-based online store was accepting a promotional code that gave buyers a 90 percent discount on their purchases. The whole thing was uncovered (and then quickly stopped) when Polygon sent an inquiry to Razer, which stated unequivocally that no such promotion was underway. 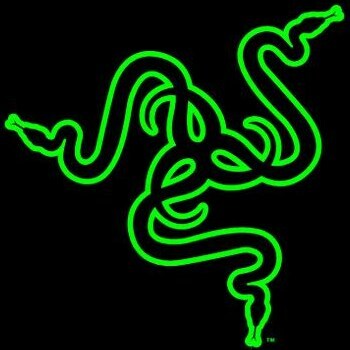 Nonetheless, now that it's all been sorted out, Razer says it will honor the discounted purchases. "This coupon code was NOT authorized nor approved by Razer and was generated by a third party to test our shopping cart (and left in our system unknown to us till now)" Razer co-founder and CEO Min-Liang Tan explained on Facebook. "While we have the option of canceling the orders legally, we've always had a customer comes first policy at Razer and in respect of this incident, we have decided to honor the orders that were placed using the unauthorized code by Razer fans buying single products for their own use." It's a seriously solid move by Razer, especially since the steep discount code will cost the company "an insane amount of losses" which will "really really hurt us as we're still a small company," Tan wrote. Because of that, Razer won't honor multiple unit orders made with the code, but will allow customers who placed them to buy one of each item ordered. "Our focus is on doing the right thing for our fans, the gamers and the community, not for resellers or users to profit from this," he wrote. "That's not gaming, that's not our deal." "It's going to take a few weeks (and up to a few months in certain cases) to get all these orders processed and shipped - a lot of stuff was already back-ordered due to high demand - and we ask that customers please bear with us," he continued. "We apologize to anyone miffed or confused by this week's happenings in the U.K., we appreciate everyone's patience, and we thank all of our customers for their support."